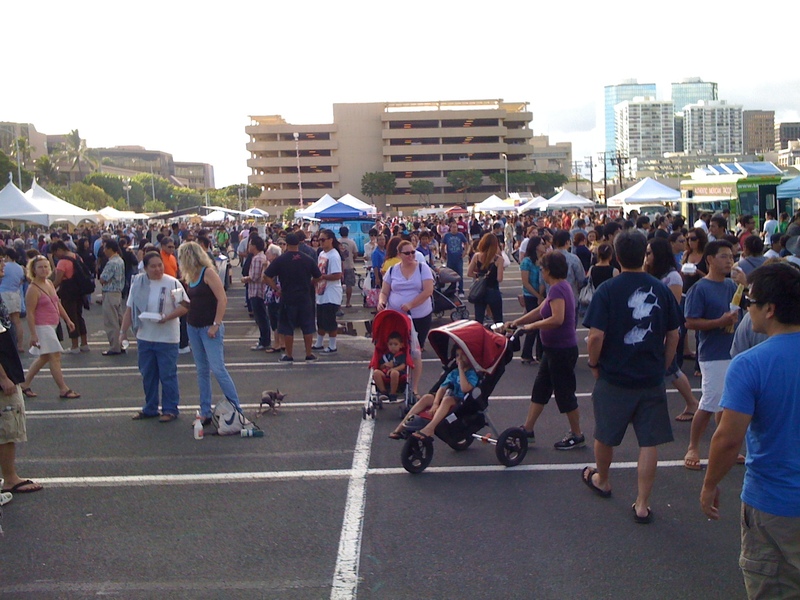 We have a food truck rally every last-Friday of the month here in Kaka’ako. It’s a chance to sample lots of tasty dishes in one location. It attracts a pretty nice crowd. A lot of people walk over after work or from the surrounding neighborhood. 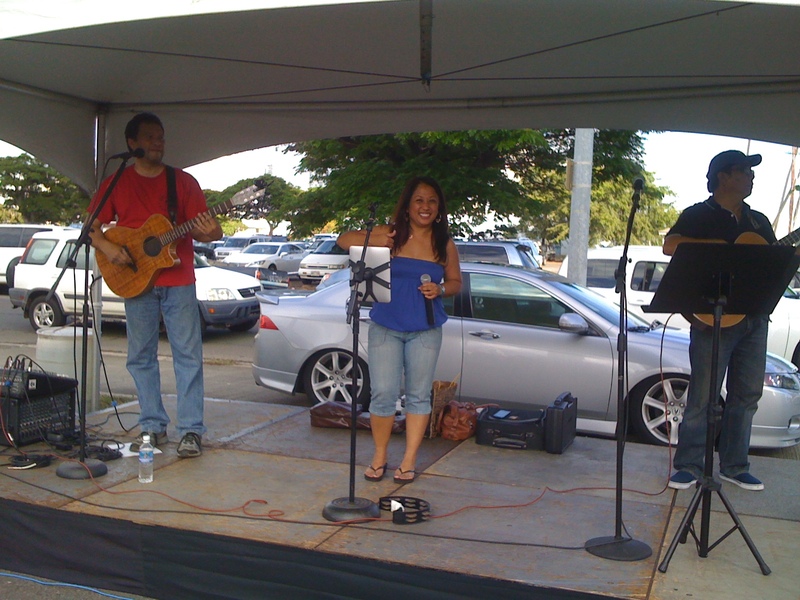 There’s ono food & great entertainment, but mostly food. 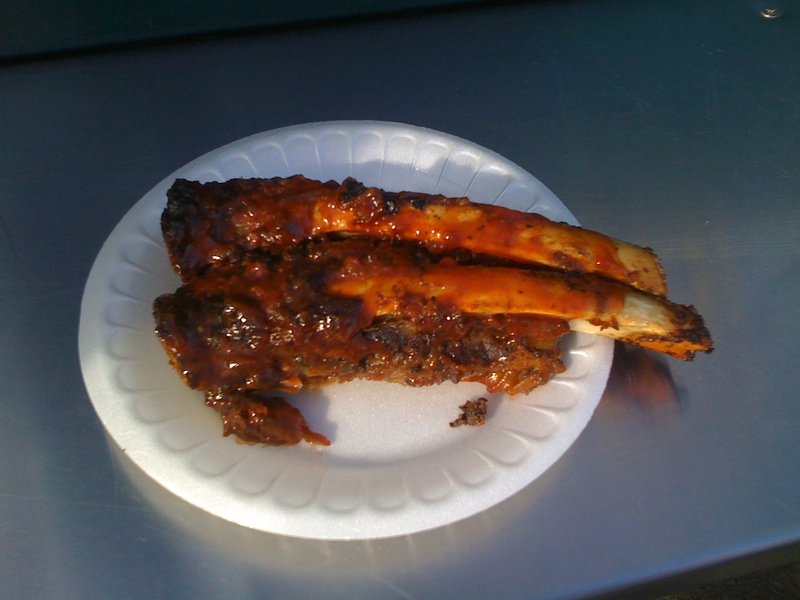 Here is the link to tonight’s line-up of lunch wagons. 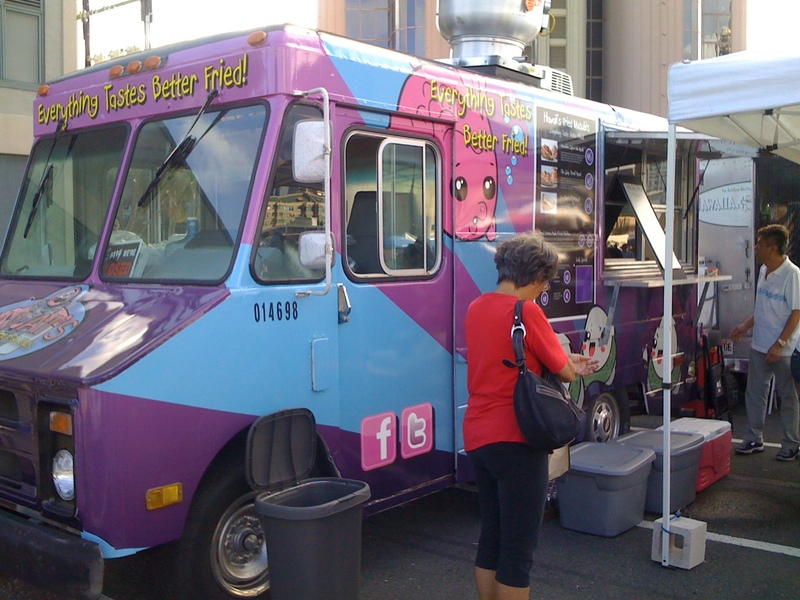 “Hawai’i’s Fried Musubis” and “Fairycakes Hawai’i” were the two most popular trucks. Their lines stretched across the parking complex.